Mobipockets MOBI file format was never developed with and specific device in mind, unlike the aforementioned file formats. It was designed instead for a piece of software. This software, the Mobipocket reader software, is free to distribute and download, which makes this format very appealing. 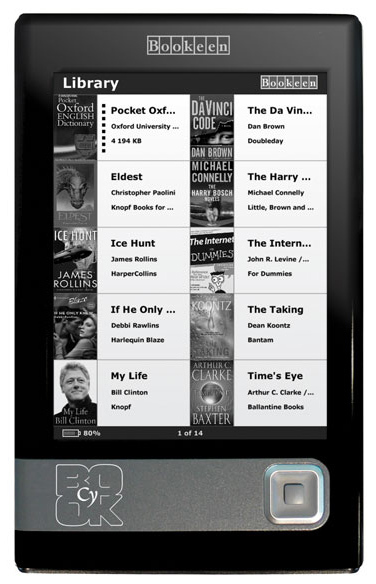 Instead of download fees, Mobipockets money has been wholly earned from eBook sales. Indeed, this type of philosophy will have a much longer future than those of Amazon and Sony who exclude potential customers with the use of their proprietary formats. Ever since its inception, PDF has maintained its focus and drive in order to become one of the top digital text formats around. Not too many manufacturers release devices these days that do not support the PDF file format. There are, however, a few issues which need clarification. First of all, the PDF format scheme is that of displaying text on a screen to look precisely as it does in print. Complications arise however when it try’s to display text designed for A4 printing, seeing as how no eBook reader devices exist at this time that have an A4 sized screen. Whilst considering buying an e-book reader, thorough research is paramount. Once you have ascertained which e-book scheme you would use most frequently, peruse e-book stores in order to discover whether or not they carry the kinds of e-books you might want to buy. You may also want to purchase larger screen devices, like an Irex Iliad, if you read PDF files which are larger in size. As stated before, avoid potential headaches in the future by undertaking an in depth research scheme to begin with. 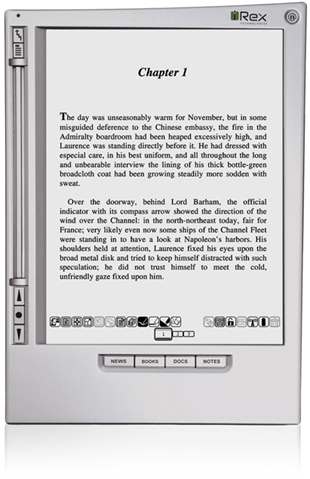 Larger and more well known companies have begun to enter the eBook reader market, leading to more robust competition within the field. Companies like Amazon, Sony, Adobe and Mobipocket are hastily trying to develop a universally acceptable format for eBooks. 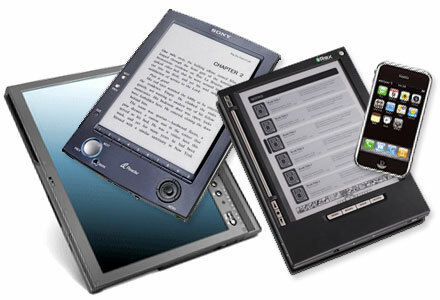 To this end, Sony’s Reader seems to be the only device that does not support Mobipockets widely available format. This is because Sony would rather be remunerated by selling eBooks coded in their own unique proprietary format to their customers. However, this tactic is highly questionable because they risk loosing throngs of potential customers who may see no reason to limit their eBook reading choices only to what Sony can offer them. Amazon on the other hand decided to take an open-minded course of action, giving their Kindle reader both AZW proprietary support and Mobipocket support. Also be aware that, when in the market for an eBook reading device, purchasing one that supports the most formats it highly advantageous for you. Sony’s proprietary file format for eBook reading is called LRF. 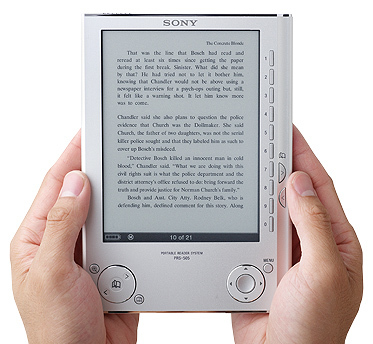 Their Reader device provides users with three zoom levels when using LRF eBooks and LRF formatted eBooks can be bought at Sony’s website that features vast amounts of top selling titles. However, the LRF format only works with Sony’s Readers limiting the size if it’s eBook collection. Amazon’s proprietary format for its files is dubbed AZW. And unlike its competitor Sony, Amazon decided to allow support for other commercial formats used on their eBook reader device. This may turn out to be either their stroke of genius moment or their darkest hour. Amazon also sells AZW compatible eBooks through their online store. And since they are the webs largest book seller, they are already quite capable of figuring out how to effectively sell eBooks too.